Grand Master D.J. Kim is highly regarded as a great competitor and has numerous Championships to his credit, including the 1975 Korean National Welterweight Black Belt Championship. Grand Master Kim has been honored with several political positions within the World Tae Kwon Do (WTF). As Senior Official Referee and the United States Tae Kwon Do Union (USTU) and as Vice-President and Secretary General of the USTU New Jersey State Headquarters. Master D.J. Kim illustrates some of the advantages that can be achieved through practice of this art: “There are many benefits a student can enjoy in today’s world by practicing this ancient art seriously. Grade school, high school, and college students can develop the self-awareness, confidence, and spirit to achieve high goals, resulting in consistent high academic and personal standards. Adults as well as children are erroneously affected by peer pressure. Developing inner strength and the ability to stand by ones convictions is also one of the benefits of studying Tae Kwon Do.” The commitment to practicing martial arts at the Blue Dragon's Tae Kwon Do Academy provides an excellent opportunity to meet other interesting people with similar goals of high achievement. As a student, you can expect your level of personal growth to be directly proportionate to the amount of time and effort you give to your training. As character and the spirit to achieve your full potential as a human being develops, society is greatly benefited by your mental, physical, and spiritual example of the TKD practitioner. The Blue Dragon Tae Kwon Do Academy encourages students to strive for inner power and success. Grand Master Kim reveals how to unleash that power and to reach your full potential. He advocates a strong love for our country, love for your family, respect for elders, teachers and human life itself. 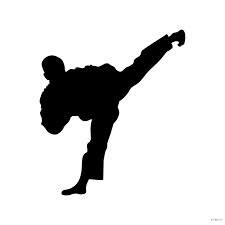 The benefits of an improved physical condition and the capacity for self-defense in any life-threatening situation are also taught. However, it is firmly demonstrated by Master Kim that students of Tae Kwon Do should never prove how strong they are. 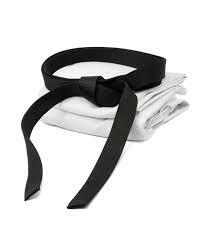 According to Master Kim, Tae Kwon Do develops self-discipline, confidence, self-esteem, patience and humility. Our goal is to become stronger physically, spiritually and mentally. Once we achieve this objective, we we should live humbly to direct our power towards helping the weak. To become champions of jusice, our spirits must be indomitable and this we shall never forget at Blue Dragon Tae Kwon Do Academy.